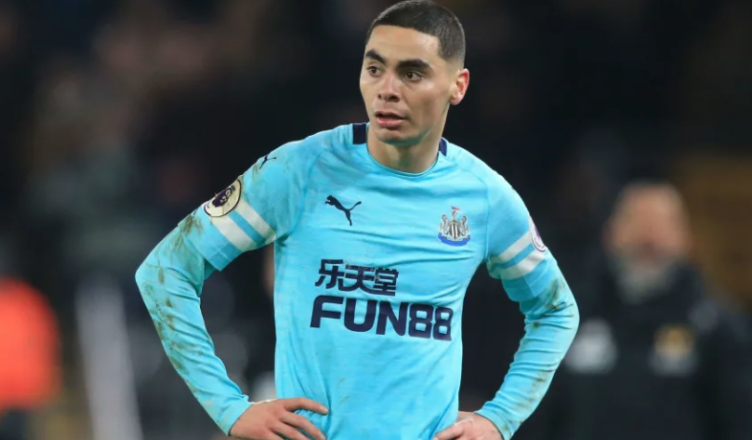 Miguel Almiron is already silencing the sceptics – and he hasn’t even scored yet – NUFC blog – Newcastle United blog – NUFC Fixtures, News and Forum. Although many were skeptic about Newcastle United’s decision to splash out £21 million to secure the services of Atlanta United star Miguel Almiron, the 25-year-old has so far managed to silence the doubters. The fact that the Magpies have made him the most expensive signing in the club’s history has made a certain impact on the relatively inexperienced Paraguayan. Previously established as one of the best players in Major League Soccer, Almiron is known for his devastating pace, superb vision, and exquisite technique. All of that has influenced Rafael Benitez to bring him to St James’ Park. Although he has played just six games following his January arrival, the pacey forward has already managed to exceed everyone’s expectations. The Paraguay international has nailed down the left-wing position as his own, helping the team to overcome a difficult period and create a comfortable gap on the relegation territory. Almiron has made his debut for Newcastle after coming off the bench against Wolverhampton Wanderers for the closing 20 minutes of the encounter. He has immediately showcased glimpses of his potential, linking up with his new teammates surprisingly well. It was enough for Rafa Benitez to hand the Paraguayan his first Premier League start in the following fixture. Almiron has taken full advantage of the chance, tormenting Huddersfield Town’s shaky defense for the entire game. An exquisite performance has earned him a standing ovation from the home crowd while he was walking out of the pitch in the 81st minute. The 24-year-old has started all five of Newcastle’s previous Premier League outings, taking Christian Atsu’s place in the starting eleven. The overall impression is more than positive, with many Magpies’ fans already fell in love with their new idol. Bursting runs down the left flank, trickery, clever movements off the ball and the understanding with his fellow teammates have so far shown the youngster is indeed a season-changer. The way the former Atlanta United man has influenced his new side is remarkable. Since Almiron’s break into the starting XI, Rafa Benitez’s men have pulled off three wins in six Premier League fixtures while losing only once in the process. Less than five weeks ago, Newcastle were on the verge of returning to Championship, but they now sit seven points clear of 18th-placed Cardiff City. With eight Premier League matchdays left, the Magpies still have a long way to go before securing the top-flight status for another season, but they seem to be on the right track. As soon as the players return from the international break, Almiron and Co. will head towards the Emirates Stadium to take on Arsenal. Given the fact the Gunners are currently enjoying a purple patch having picked up four victories in their last five Premier League clashes (W4, D1), Bet365 rate them as 9/25 favorites to win here. Meanwhile, the visitors are big underdogs as they are given 8/1 to wrap up all three points. Benitez’s main worry ahead of this meeting is that his players have failed to clinch a triumph on seven of their previous Premier League road trips (D3, L4). For the ones who like to place bets on the most popular league on the planet, free bets uk offer a nice opportunity to get a better insight into the best bonuses and fairest odds on the market. Although they’ve struggled to shine away from home, the Magpies have bagged two goals against Bournemouth last time out, which was only the second time they’ve scored over 1.5 match goals on the road for this entire campaign. Considering Arsenal’s inability to keep a clean sheet, Bet365’s offer of 4/1 on Newcastle scoring 2+ match goals seems like a tempting one. With all due respect to all teams Almiron has played against since arriving at the Premier League, facing the London giants will be his first serious challenge. The left-footed forward will probably have to deal with the likes of Shkodran Mustafi and Sokratis should Benitez opt to include him in the starting eleven. Nonetheless, Almiron has proved to be the best January acquisition in the English top tier without any doubt. If he manages to maintain the same level of performance for the remainder of the season, there’s a good chance Newcastle United won’t be able to keep hold of him for long. Assessing Miguel Almiron’s first 6 games for NUFC – One thing stands out..
Get rid of the betting adverts please. Aren’t we bombarded enough on tv and radio?